Spirit Airlines’ pilots are on strike, in case you didn’t know. The airline’s unit of the Air Line Pilots Association (ALPA) has been trying for two years to get a new contract, and despite Spirit’s offer of what it calls a “fair and equitable” deal (more on that later), no agreement has been reached. Having gone through all the appropriate channels and waited through a mandatory 30-day cooling off period, the pilots elected to walk. Strikes are a major inconvenience for all involved—but they’re also an inevitable part of business. For ticketed passengers, however, Spirit’s poor customer relations effort has taken a bad situation and made it much, much worse. Last Wednesday, when a strike appeared likely, the airline publicly said it was prepared for the walkout, and had arranged alternate service to ensure passengers got where they were going. Spokeswoman Misty Pinson said Spirit was “partnering with other air carrier providers to continue to serve our customers.” Great news, right? But she offered no details about these partnerships, such as which carriers would operate these flights or what percentage of passengers Spirit expected to serve. By Friday, the strike appeared all but guaranteed, and Spirit announced it would suspend flights from its Ft. Lauderdale hub for the weekend. Clearly this didn’t correspond with the airline’s pledge to maintain service during the strike. Worse, “suspend” is as detailed as Spirit would get—no clear sense of which flights would be cancelled or how overall operations would be affected. And no details about refunds or rebooking, either. Finally, on Saturday, the airline announced all flights were canceled for the day. Spirit extended these cancelations to Sunday, and eventually through tomorrow. It’s safe to assume more flights will be canceled later this week if the situation remains unresolved. The airline is offering full refunds. Amazingly, the wording of its instructions steers people toward flight credits in lieu of cash, and the airline requires people to call if they prefer the cash option. Spirit finally put out a detailed release about the strike yesterday, but instead of offering passengers some useful information about Spirit’s operations over the coming days, the airline breezes through its refund policy in a single paragraph and spends the rest of the release explaining why the pilots are bad and Spirit is good. 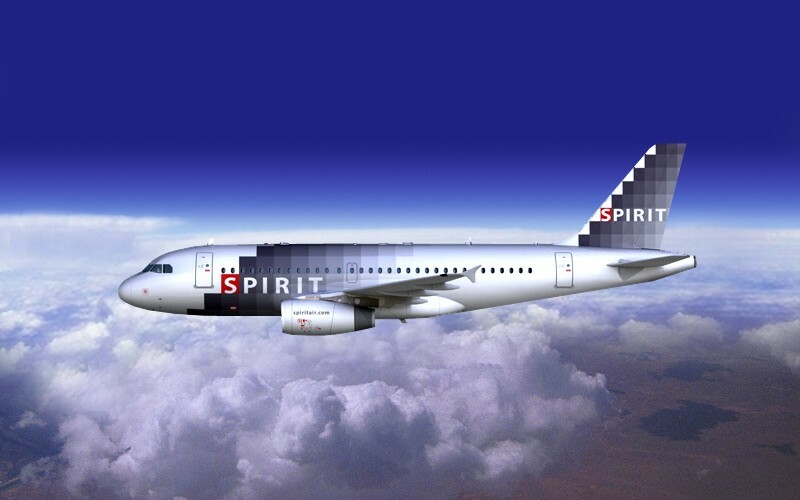 The release details the raises Spirit has offered to its pilots, and uses its new favorite catchphrase, “fair and equitable,” to describe the offer. Right now, an 8 year captain on the A319 [at Spirit] makes $122 an hour. A 15 year captain on the A319 makes $138 an hour. After signing, this would instantly jump to $134 and $152 respectively. By the end of five years, those would rise to $170 and $186. … Of course, we have to figure out which airlines are the right ones for comparison purposes. How about JetBlue and AirTran, since they have the most similar networks and models? JetBlue eight year A320 captains pull down $151 an hour with 15 year captains making $159. AirTran 737 pilots make $132 an hour at eight years and $153 at fifteen. So this contract is quite comparable with AirTran from a pay perspective, but that doesn’t mean it is from a benefits and work rules perspective. Clearly, there’s something here the pilots don’t like. The pilots have said all along they want something similar to the contracts at JetBlue and AirTran. The two sides appear to be close, but as Snyder says, not quite close enough. But like I said, most passengers aren’t really interested in the details of the negotiations. Most passengers simply want to get from Point A to Point B. Spirit can’t accomplish this at the moment, for which they could be more or less forgiven considering the circumstances. But the airline’s inability to effectively communicate its contingency plans to customers is disgraceful. Recently, British Airways did a great job of forming a workable backup ahead of time and overcommunicating that plan leading up to the strike. Spirit had plenty of forewarning that this strike was coming, and should have done better. The airline could have told passengers a strike was looming, explained that cancelations were possible, and proactively offered to refund or rebook customers wary of losing their flight. But between the broken promises of continued service, lack of concrete information leading up to the strike, and last-minute systemwide cancelations once the strike commenced, the airline failed its passengers in just about every conceivable way. Were you supposed to fly on Spirit this weekend, or do you have tickets for travel later this week? Please leave a comment below and share your experience dealing with the strike. Thanks!